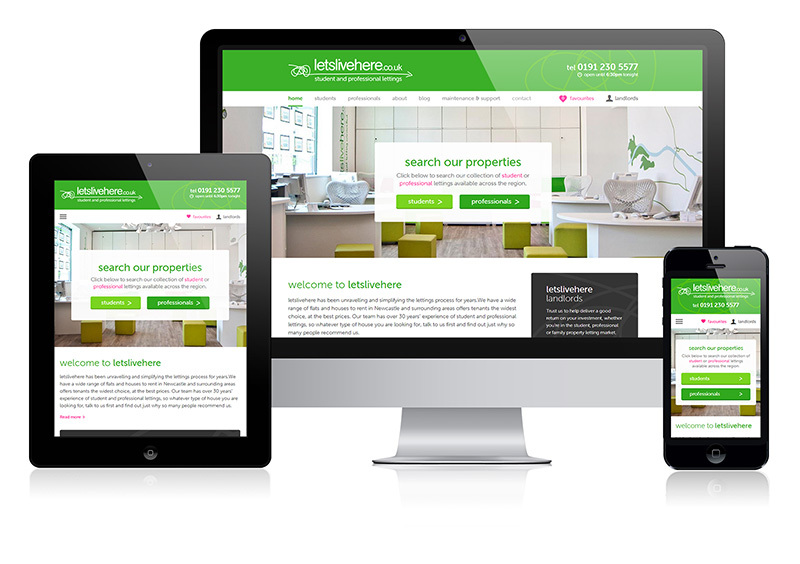 We’ve been working on the design and development of a brand new website for North East-based lettings agency Letslivehere. The company needed a new site that would attract customers from all 3 segments of their target audience: students, professionals and landlords. We designed the site with a clean, contemporary feel to attract students and professionals, as well as a separate page with a different colour scheme for landlords. 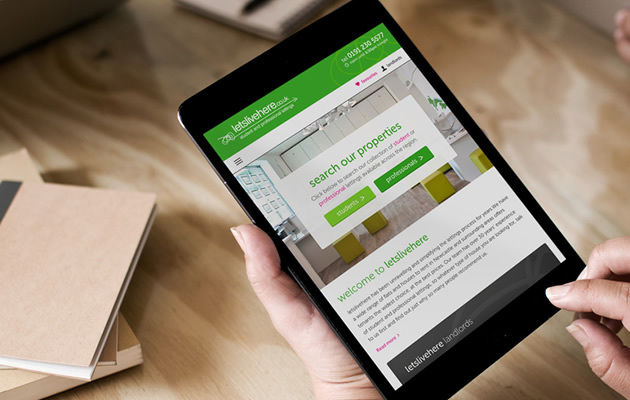 The website is fully responsive across all devices and features some exciting functions to provide the best possible user experience for students, professionals and landlords. The site allows users to search for properties by property type, area, price and number of bedrooms. It also allows them to save favourite properties to view again later, book viewings directly through the site and share properties on social media at the touch of a button. You can view the new Letslivehere website by visiting http://www.letslivehere.co.uk/ .